Cryptocurrency TecraCoin is the first project to support the financing of patented high technologies. Funds collected in ICO will be first invested in graphene-related technologies. There are other interesting inventions in the queue that require financial and business support, such as a gel that heals diabetic wounds. The main purpose of the Tecra company established last year is the issue of TecraCoin - cryptocurrencies, which enables it to raise capital for the aforementioned activities through its sale. TecraCoin is an instrument based on blockchain technology that guarantees secure participation in the venture and many automated solutions that give you the opportunity to increase your TCR status. Cryptocurrency will be a tool independent of the centralized unit administering the fund. The investment portfolio is the so-called high technologies (high-tech industry) suitable for marketization, industrialization. These are, for example, graphene, quantization of matter or a gel that heals diabetic wounds. Tecra focuses primarily on patented designs. The Tecra Group established cooperation with the governmental administration of Poland, signed the first letters of intent with research institutes. Has signed agreements with law firms, which constitute advisory facilities. The presentation of the project has already been held, among others, in Saudi Arabia and China at the International Graphene Innovation Conference (GraphChina). When the necessary funds are collected, patents protecting the production of e.g. graphene will become part of the company's portfolio and their commercialization will begin. The recipients will include large chemical plants that are interested in graphene as an admixture for paints, or, for example, launching the production of specialized medical lighting. The founders of the company include people who have been operating on the market for cryptocurrencies, IT, marketing and science, among others, the owners of one of the largest crypto-currency mines in Poland based on the GPU. The scientific team consists of highly qualified specialists from the Institute of Low Temperature and Structure Research of the Polish Academy of Sciences in Wroclaw under the chairmanship of prof. dr hab. Wiesława Stręk and prof. dr hab. Andrzej Jeżowski. Special purpose vehicles will be managed by professional management staff. The persons supervising investments, constituting the consulting core for the TECRA fund, carry out projects on a day-to-day basis with capitalization amounting to several hundred million zlotys - for companies such as BMW and Zalando. The TecraCoin project is also supported by well-known personalities from the world of cryptocurrencies, including Prof. Krzysztof Piech, Marcelina Szwed-Ziemichód, Filip Pawczyński. Edited after the team has passed the KYC process and has updated his achievements. The team is large and experienced, but they also need to add some advisors to the crew, then they will get the max score. The vision is ambitious and the idea is legit. They have three good patents confirmed, that has value and it's a very good way to start their business model. Solid concept and experienced expert team to execute the project vision. Loved the shiny whitepaper with detailed business and technical information for investors. 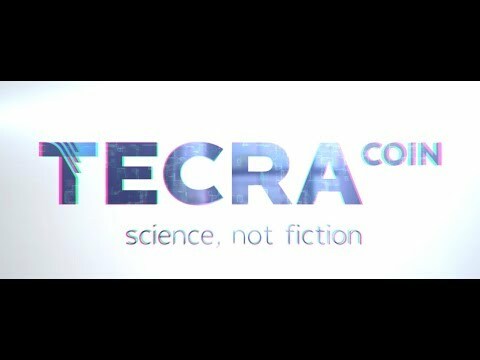 The concept is unique so far - no project attempted to address the business areas Tecra coin is targeting. Great MVP with all functionality working. Thumbs up! TecraCoin has a team which is both strong in quality and quantity. The idea is very good and also quite unique, and they have a working MVP and a strong vision which is well explained in the white paper. The concept is amazing. Team is really good and capable enough. KYC is done. MVP is good. Whitepaper is detailed with good financial, technical and business information. They invest in patented and future technologies which has best chance to success and change the world for better. Best of luck team. To be honest I like This idea. It has social significance. Especially in Japan, cold weather for scientists is terrible. I felt strongly that a platform to support them is needed. I hope that such efforts and magnifying glasses will spread to the world. I felt graphene, white light, business plan, financial plan very good. On the other hand, I could not find a detailed description of the following mechanism in the white paper. After having a wonderful discussion with the team, I made the following discoveries. I am looking forward to the arrival of their prototype. Blockchain gives transparency in allocation of funds, each on can check where funds dedicated for science goes. On explorer you can check right now, that we didn’t spend any TCR on science now. and The same is for dividend addresses. It build more trust. In future we will develop it much more. Creating global investing platform for investors. I applaud the technical strength of this project member. It is a unique project that combines ideas and technologies. This project will be more wonderful when they succeed in acquiring patents. This project has a balanced team in numbers and skills. Their requested team members passed the KYC. It has a working MVP. They only distribute 10% during ICO. Their vision is rather interesting, I am looking forward to seeing how they will implement it on the market. Good luck! They have great skills. There is also a love for scientists. They have exclusive technology. It appears to me that they are already approaching their goals. It is clear that team members are experienced and trying to do it. I hope their work will light up the right scientists. Their requested team members passed the KYC. Good vision of the project, they are aiming to set up an entire ecosystem, very ambitious and not at all easy to implement, but they are working well, we can see that the project is in a quite advanced stage for being still in ICO, unlike the most projects, which are still on the high seas while running an ICO. Good team, large and well distributed, although perhaps too little international, they are all in the same place. The community is very short for now, almost non-existent but this can be remedied with good marketing. The block explorer offers a good overview while you can explore various features, but I still haven't figured out why Bitcoin? There are so many other networks today, much more powerful, faster, and everything you want, so it doesn't make much sense to develop into bitcoin. In the distribution of the token I could not identify the "reserve fund", which is quite important for any project, while the rest of the distribution is good. All in all, an excellent project, which seeks to make the most of the potential that the Blockchain offers together with the non-Blockchain part of the project, but at the same time offer added value to the same Blockchain and its community. Remember that here on Icobench the experts are volunteers and we are dedicating a job exclusively to the Blockchain community, we are not here for other interests. Our ratings are our personal opinions and are not encouragement to invest or not invest, and are given through the knowledge that each of us has acquired over the past few years, touring the conferences or some of us, running an ICO or more than one. The Tecra Group established cooperation with the governmental administration of Poland, signed the first letters of intent with research institutes also TecraCoin is an instrument based on blockchain technology that guarantees secure participation in the venture. The roadmap shows that public mining will start by July and token listing in August which is added benefit to project. I have tested MVP and it’s working good,The team is having good strength and expertise knowledge with KYC cleared. Tested MVP its working fine and i expect many upcoming enhancement in it, Team is definitely mixture of expert skills backed up with good advisors. Very interesting idea both in the vision and in the design of the project. The project has all the trades in its team and the WP is well done. The introductory video should be made in English. With the right marketing, I think this project has a good chance of success. — Good technical and functional experts in team with guidance of knowledgeable advisors. This company has been conducting advance research on a patented graphene technologies that radically change the desired properties of many technologies commonly used today, such as hydrophobicity, barrier properties, biocidal properties, thermal and electrical conductivity, and increase in sliding properties. This would be a game changer in the are of this technology using blockchain technology which will make the research more transparent. Not clear how the Tecra blockchain will be secured, PoW yes, but the new blockchain might not be secure enough due to very little hashrate. Why a new blockchain instead of utilizing one already established (say BTC or ETH)? What are the benefits of setting up an ICO instead of going for VC round? Why going for an ICO which will probably cause many headaches in the future? You mention that distributed ledger make investment more transparent and secure, although the reality is the opposite. There are very little obligations for you to disclose any type of financial data and there is close to none scrutiny from regulatory authorities. If Tecra is a VC fund there are not enough info on the type of investments that will be made, there is nothing about the selection process, type of SPV that will be used and annexed fees or previous succesful exits. What about fees? carry? Success fees? Will the invest only in prop research or also third parties? From an investor point of view, I don't believe there is any ground for purchasing TCR and seeing any ROI. Change from lyra2z to MTP. The vision of Satoshi Nakamoto is close to us, which is why we decided to use anti-ASIC resistant algo. One computer one voice. New mobile wallet, and new UI. We want add also few new features in the future. We will be listed on big exchange. We will create a one click MN program connected with new wallet. This will simplify whole process of creating super node. As you know, TecraCoin is an investment fund. We start preparation to launch graphene laboratory on commercial scale. Deposit system will start earning TCR coins for investors from our deposit program. TCR are deposit on special address, it is some kind of PoS. Place where investor can login, and check they ROI, market CARG, financial stats, and TECRA Ltd. with their SPV's investment. The most exciting tool in the TecraCoin system. It allows the participation of the community in supporting science. Voting will be done by the amount of TCR on the wallet. We will start working on our own blockchain, more dedicated to support science.